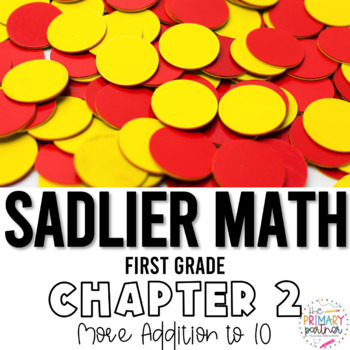 These activities are designed to go along with Sadlier Math but can also be used with any other math series! These 11 activities help students practice addition facts through 10. Students will practice recognizing doubles and doubles plus one facts, adding three numbers, solving addition word problems, breaking apart addition equations into equivalent sums, finding missing addends, and using various addition strategies to solve. Please message me with any comments or concerns. For product updates and previews, follow me on Instagram!